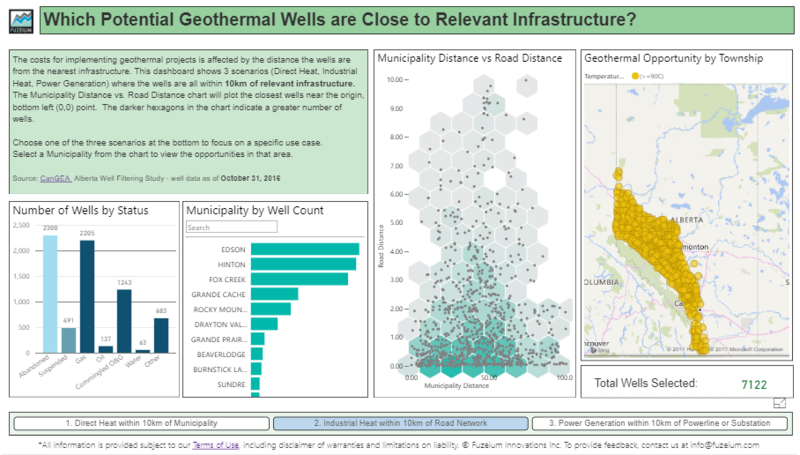 According to an industry study of Alberta’s geothermal potential, numerous communities have oil and gas wells with temperatures above 90c and are also within 10kms of a road network. At that temperature and proximity, there is potential to use geothermal capabilities for generating industrial heat. * The table of communities to the right reflects the top 15 (by well count). Use the dashboard to explore for more. * The well data used in the study were current to Oct 31, 2016. * New wells would have been drilled since and are not part of the study. 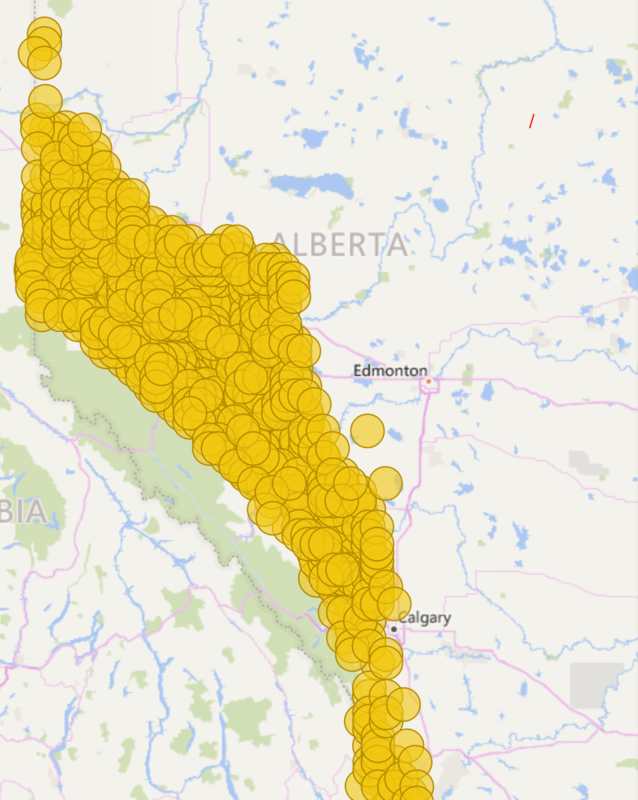 The wells associated with those communities above are also mapped to Alberta’s Township range system. Each circle below give a sense of where the wells are located. All are along the western side of the province but are in much greater in number and cover a larger area than the hottest wells do. To recreate and explore the results, simply go to the associated dashboard (click on the image below) and then select the lower right button called “2. Industrial Heat within 10kms of Road Network”.